Tobias Frere-Jones explains the optical illusion that tricks our brains into perceiving typeface letters are of equal height. Square and round shapes: mathematically equal, or optically equal? Over the past 25 years, Tobias Frere-Jones has created some of the world’s most widely used typefaces. He has taught at the Yale University School of Art since 1996, gives lectures around the world, and has work in the permanent collections of the Victoria and Albert Museum in London and the Museum of Modern Art in New York. Here at The Eye, Frere-Jones shares a post from his blog about the behind-the-scenes mechanics of designing a typeface. Square shapes like H have simple and stable relationships to baselines and cap heights. Their upper and lower edges coincide with these boundaries and stay put. But only a narrow sliver of an O is the full height, and the rest of the shape falls away. The parts that are too short greatly outnumber the parts that are big enough, so we conclude—wrongly, but very reliably—that the round shape is too small. “Romaines Droites” by Fonderie Turlot, 1880 specimen (top); Overshoot, extending round shapes beyond flat shapes (above). If curves need overshoot because they don’t behave like squares, pointed shapes are even less like squares and accordingly get more overshoot. But with enough care, readers won’t notice the multiple sizes and positions. All of it will feel equal. Futura Medium by Paul Renner, Bauer 1928. Progressive overshoots for round and pointed shapes. But like many aspects of type mechanics, overshoot comes in degrees. 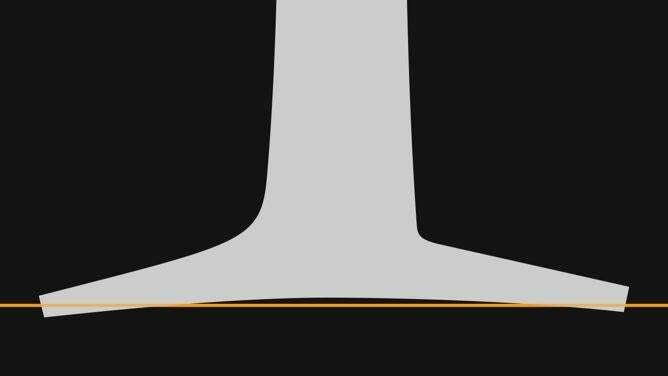 Slow curves behave more like flat shapes, lingering near baselines longer than rounder, sharper curves would. 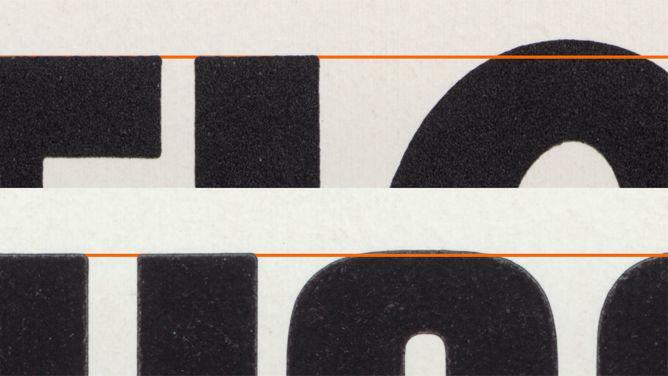 Below are two typefaces from the same designer and foundry, at the same point size and roughly the same proportion. The difference in overshoot is driven by the difference in the curvature: One is fully round (trending toward a diamond, even) while the other is emphatically square. Recta Nera Stretta (above) and Metropol Nera Compatta (below). Both by Aldo Novarese, Nebiolo ca 1960 and 1967. Even within a single family, variations of weight and width can alter a shape’s exterior and require a recalibration of alignment. 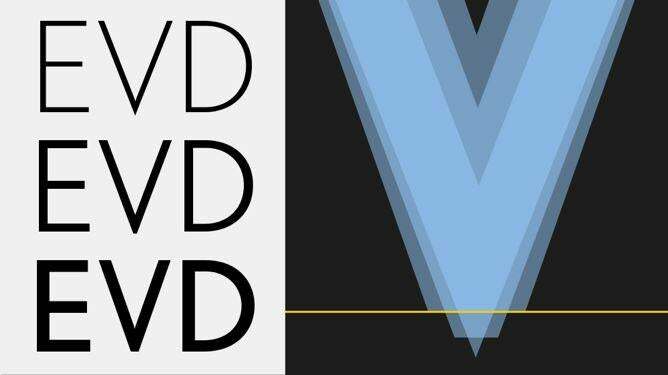 For instance, a V might present a sharp exterior point in lighter weights. But accommodating the extra mass of heavier weights could force a blunter apex and change its apparent depth, and therefore require a new alignment. Overshoot decreasing as bluntness increases: FB Nobel Light, Book, and Regular by S.H. de Roos, Amsterdam, 1928. Revival for Font Bureau, 1992. Lowercase alignments are often more difficult to negotiate, because many letters have flat shapes immediately adjacent to round shapes, and both need to be optically correct. A mixed alignment should look “natural” and show no sign of the struggle involved. Helvetica Medium by Eduard Hoffmann, Stempel, 1956. Sloping serifs can make matters harder again. This feature, a hallmark of an old-style lowercase, leaves only a handful of letters with flat shapes on top. In this genre, the literal height of the lowercase appears only once in a while, and the majority of letters—including many of the most common ones—are a mix of fickle curves and angles. Caslon No. 540, American Type Founders, 1906. 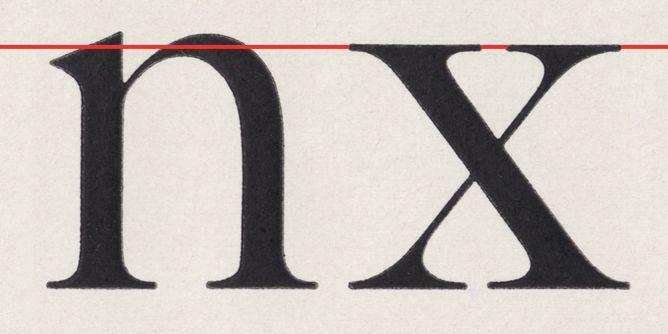 Serifs mark the top and bottom boundaries, but not always precisely. Designs with calligraphic derivations or some other kind of organic quality may have concave serifs, so these numerous “flat” shapes are not actually flat. This conflict is unusually localized, with the center and ends of a serif suggesting different alignments. 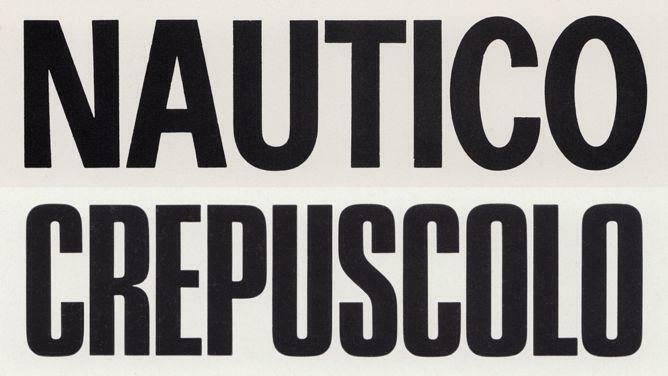 To broker a visual peace, these cupped serifs often straddle the baselines, rising and falling equally.